Optically the Nikon AF-S Nikkor 80-400 f4.5-5.6G ED VR is completely different from the previous model, 20 elements including 5 of ED (Extra-Low Dispersion) or Super ED Glass arranged in 12 groups (formerly the lens had 17 elements in 11 groups, with 3 of ED glass). 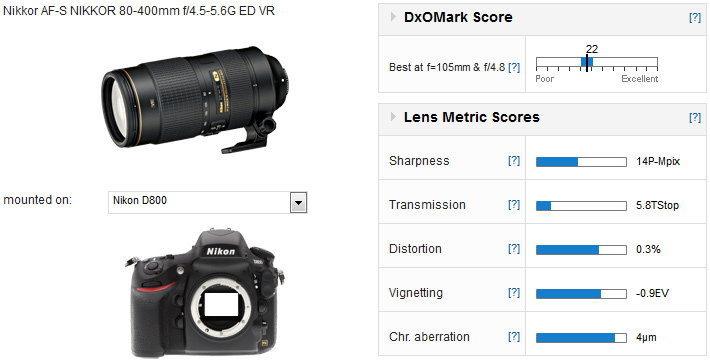 The DxO Mark score of 22 makes this the best super-zoom yet tested: 4 points above its predecessor. The individual parts of the score are good for the new lens too: sharpness at 14P-MPix is just one point behind the Sigma 120-400 f4.5-5.6 DG APO OS HSM Nikon but the Nikkor scores better overall and much better for chromatic aberration. There are other areas where the new Nikkor is better than the old, it utilises Nikon’s Nano-Coat Technology for reducing flare and even more crucially the AF on the new lens is driven by a SWM drive which is pretty quick, on the old lens AF was driven from the body, meaning that AF was not possible using some cheaper Nikon cameras. On the down side it is heavier and bigger, but it is a 400mm lens and the extra weight seems to be justified by the extra quality. So, is the new lens worth it? Yes, it is, this is a good lens. 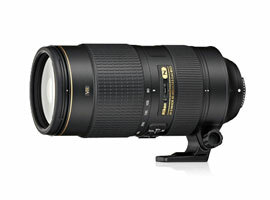 If you want to zoom from a short Tele right up to 400mm this is the best choice you have. However, before you spend your money do look at the quality implications of getting a Nikkor AF-S 70-200 f4G ED VR and a longer prime lens, maybe a 300mm f4. 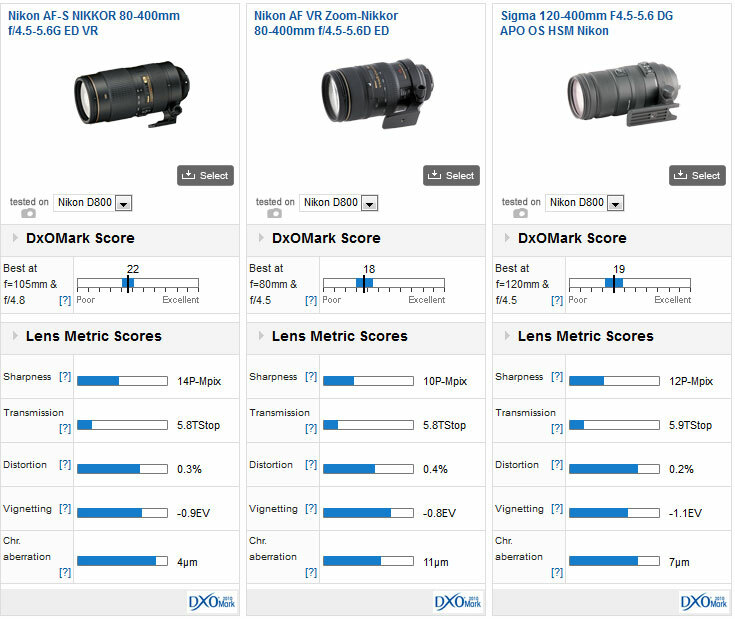 The 70-200 has a DxO Mark score of 28 and sharpness of 21P-MPix, it and a 300mm f4 would still cost less than the 80-400 and might give you better results.